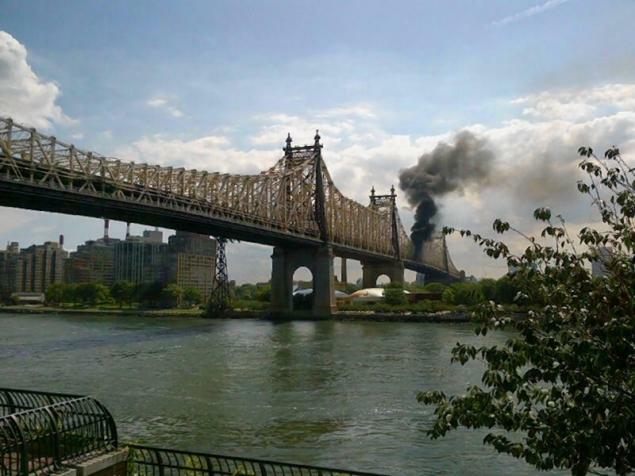 A truck fire on the Queensboro Bridge has shut down traffic in both directions. 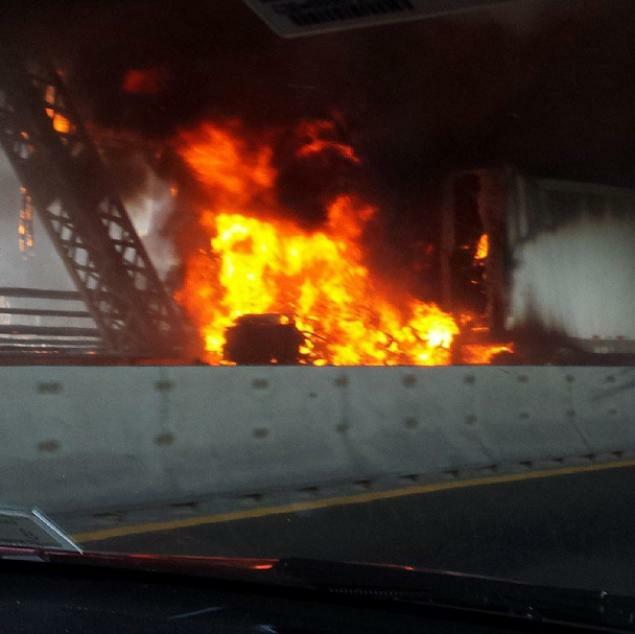 FDNY was called to the lower level of the bridge at 11:08 a.m. for an all-hands, vehicle fire, fire officials told the Daily News. Photos from the scene showed massive flames shooting from the back of a tractor trailer and heavy smoke was seen billowing from the bridge that connects Queens to Manhattan at 59th street.